You have heard it said that “we are what we eat.” Our food choices can help to preserve our vision. We want to share information with patients and clients about the best eye foods. 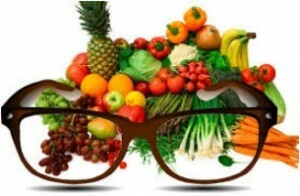 We all love to eat, what better feeling than knowing our food choices help us to prevent vision loss and eye disease. As our life expectancy increases we are living longer than ever before. As a result many more people will experience age related eye diseases, such as cataracts and macular degeneration. Choosing a diet rich in Omega-3’s, Vitamin C, Lutein and Zeaxanthin will help to maintain your vision and eye health as long as possible. Carrots may be the food best known for helping your eyes. But other foods and their nutrients may be more important for keeping your eyesight strong as you age. Three of the many important nutrients for eye health are lutein, zeaxanthin and omega-3 fatty acids. Lutein and zeaxanthin are caretinoids and contain a pigment that is abundant in the macula of the eye. Consuming lutein and zeaxanthin, either in foods or in a supplement, results in an increase of caretinoids in the macula. 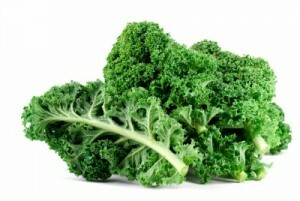 Foods highest in lutein and zeaxanthin are kale and spinach. Vitamins C and E, zinc, lutein, zeaxanthin, and omega-3 fatty acids all play a role in eye health. They can help prevent cataracts, clouding of your eye lens. They may also fight the most-likely cause of vision loss when you’re older: age-related macular degeneration (AMD). 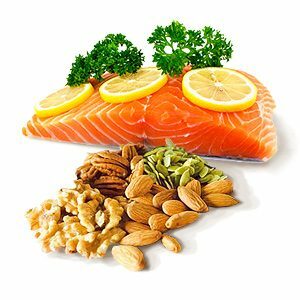 Three important omega-3 fatty acids are DHA and EPA and ALA. DHA (docosahexaenoic acid) and EPA (eicosapentaenoic acid) and (alpha-linolenic acid) are found in fish oils, nuts and flax seed. “Eating a cooked 10-ounce block of frozen spinach over the course of a week will help lower your risk of age-related eye disease,” Johnson says. Kale has double these nutrients. Collard greens, broccoli, and bright-colored fruits like kiwis and grapes are ways to get them, too. Red bell pepper 1/2 c, raw 95 m.g. Strawberries 1 cup, whole 85 m.g. Orange juice 3/4 cup 93 m.g. Broccoli 1/2 cup cooked 51 m.g. Vitamin C and Vitamin E work together, but many of us do not receive as much vitamin E as we should from food. A small handful of sunflower seeds, or a tablespoon of wheat germ oil in your salad dressing provide a big boost. Almonds, pecans, and vegetable oils are also good sources.